ASUS has been one of the longest-standing clients of our agency and the brand’s evolution in India is the most evident testimony to our success as a communications and public relations partner. 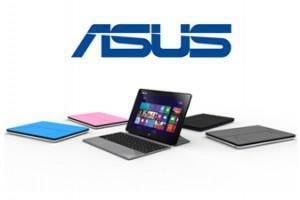 ASUS began its association with us when it was in its very nascent stage of growth in the country. As it expanded its product base and ventured into newer categories of ultra-books and hybrids from tablets and laptops, Value 360 Communications acted as a steady support system creating maximum traction and buzz about each launch. Additionally, our strategic counsel and profound relations created optimal media visibility for the exclusive ASUS store launches across the country. As a public relations agency, our strategy for ASUS has grown with their simultaneous expansion in India. One of the most significant milestones of this relationship was when ASUS entered the smartphone segment with the launch of the Zenfones. The planning for the launch began six months in advance and the results were a perfect demonstration of the effort that was invested. With celebrity endorsements in tow, the Zenfone created a veritable media blitz and made deep inroads in the market and the consumer mindscape. ASUS is now well-established as one of the leading consumer brands in India across categories.